Tech at Night: Note how the SIGINT outrage is only against the US and allies. FCC reform. Tech at Night: They want to try again on Net Neutrality. 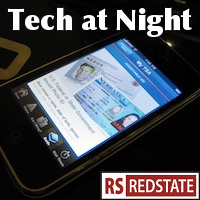 Tech at Night: Barack Obama admits the truth about Net Neutrality. Roy Blunt joins with Democrat Blame The Victim Hysteria. How do we know that the NSA stuff is being driven by anti-Americanism? So much outrage about NSA and American allies, but so little about Russia, China, and American rivals. Heck, I’m not even seeing a peep about a Chicom firm Lenovo buying Google Motorola. Now here’s a major reform idea I could get behind: merging FCC and FTC. By removing one entity, we reduce the added burden on business when two different regulators come after them for the same stuff. Getting rid of DoJ’s antitrust division would help, too. Because now even SEC is grabbing new tech powers. Some are celebrating Tom Wheeler’s latest statements at FCC as he claims he’ll work on a case by case basis with respect to competition, and it’s good to see IP Revolution moving forward at AT&T and surely other firms. But not all is right at FCC. They’ve already signaled an intent to try again at Net Neutrality, though in a “dynamic” way. The FCC’s budget is a mess. So there’s good reason to support rewriting the Communications Act. However major reform won’t necessarily end well this time. Last time there was broad consensus against Internet regulations. Now that consensus is gone, and the industry lobbyists will take advantage of that. I’ve backed retransmission consent reform before. Remember, these regulations were set up because industry feared that cable would crush local broadcasters, and so they were forced into “subsidizing the killer app of 1952.” It’s time we fixed that. I really think that a modest Internet sales tax proposal, one that was opt-in and empowering states, would have done much better with Republicans. but current support is mixed. I really think the bill should be tossed and started over. Dying retailers desperate to stick it to Amazon for serving their customers better, just got a bit greedy. There continues to be some conservative opposition to elements of patent troll reform. This letter lists a number of reasonable people who oppose reviews of questionable classes of patents. I disagree, as I think USPTO has been giving out too many garbage patents, and we need a check on that, until we permanently take away their ability to keep all the fees they bring in, and instead get them on a fixed budget, so that we remove the incentive to award a bunch of bad patents. But I wanted to put it out there that there is an active debate on this issue. Note that all sides agree that patent trolls are a problem. The debate here is over the solution, and whether it’s too heavy handed or not. Jailbreaking for unlocking: legalized under George W. Bush, still illegal under Barack Obama. While I’ve long said jailbreaking is clearly motivated primarily by those seeking to infringe on copyrights and get free stuff, unlocking is a perfectly legitimate thing. That the government would specifically remove permission to do that, is so stupid. Bitcoiners: nothing illegitimate going on here, oh no, of course not.